Updates to Kari's profile since your last visit are highlighted in yellow. I have been married for 14 years. We have four great children! 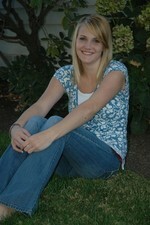 Alli is graduating Wa-Hi this year and the boys are forever playing sports! I work part-time for St. Mary Physician Group. We moved back to WW in 1995 and love raising our family here. Kari Beer Zehner has a birthday today.